If like me you are prone to loosing your keys, cell-phone or wallet then you know how much of a pain it can be. I'm constantly digging around the house for those car keys I tossed on the table, or that wallet I sat down somewhere and just can't find it and don't get me started on how many times I've had to return to places to retrieve a lost bag or backpack. These days there are several devices on the market that can help alleviate the pains of lost or stolen valuables. For locating cellphone there are tons of applications that make it easy to find those. But for those pesky none connected devices what should you do. Well here are a couple of new items that we were recently introduced to that we think you might want to checkout. 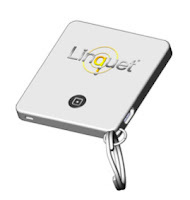 Linquet (pronounced Linket) is an interesting little device that claims to be "the easiest and most comprehensive anti-loss solution." Founded by Pooya Kazerouni in Vancouver, Canada, Linquet is a coined word meaning "small link" and that is exactly what these are. Linquet users attach small "linquets" to the items they don't want to loose, install a free app on their smartphone and link those "linquets" to their smartphone via Bluetooth. When the phone or any linquet goes out-of-range (e.g. leaving home without your wallet, walking off without your keys) both your phone and your valuable item with the Linquet attached will sound off an alarm, averting the loss. Linquet is also setup to upload data to the cloud. So in those rare cases where you don't hear the alarm, you can visit the Linquet site and see a time and location stamp giving users the power to find their valuables afterwards. And to find your in-range valuables (e.g. keys in a messy room), you can simply press a button on the phone to immediately locate your keys or you could press the button on a Linquet to find your phone. Linquet has not launched yet however according to Twitter we should see the devices out soon. If you visit their site you can sign-up to be notified once they are available. 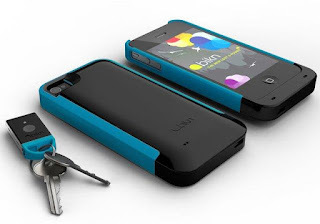 iPhone users might want to checkout the BiKN (pronounced like "beacon"), a combination iPhone case, app and series of tags for tracking commonly lost items. Similar to the Linquet, users use lightweight tags that can clip onto just about any thing (or anyone) you're prone to lose. Simply place the tag on your keys, backpack, or even your dogs collar and the next time that tagged item goes missing, your phone will use low-power radio waves to find it, showing you where the thing is in relation to you and emitting annoying beeps as you draw closer. You can also set up tags to alert you when your items wonder off out of a predetermined range, which is great if like me you have pets that tend wander off or you forget and leave things behind. Can't find the phone itself? You can even use one of the tags to page it, which works even if your cell is dead or powered off. A wonderful addition for people like me that often loose their phones in the car with little to no battery life! The BiKN's tracking range is currently 100 feet indoors and 500 feet outside and there is no mention of having the cloud based option that the Linquet has. So if your items wonder off out of range you're still out of luck but hopefully the alarms will alert you well before that happens. BiKN is currently available and works with the iPhone 4 and iPhone 4S. 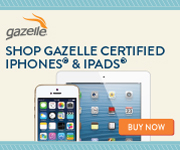 It will cost $129.99 — and comes with two tags and in a variety of colors. Additional tags come in pairs, and will cost $49.99 for two. The BiKN will work with up to 8 tags at once. But that will increase big-time with the next version of the software, the company says, when it will be able to support up to 256 tags. As I said these are just a few of the options we've seen on the market that really interested us. I'm sure there are several more that warrant mentioning. The Linquet devices with the real time data upload looks pretty interesting to me. However, anything that keeps me from loosing my keys or wallet would be a god send!